Custom Printed Large Cow Bells are available in Black, Blue, White and Red color variants and have an approximate size of 3" W x 4" H. Utilize the 1 ¾" W x 1 ¾" H imprint space to leave a large brand impression among the kids and adults accompanying them. Most decisions for kids are taken by parents, so the ability of these custom toys to generate a big brand exposure is remarkable. 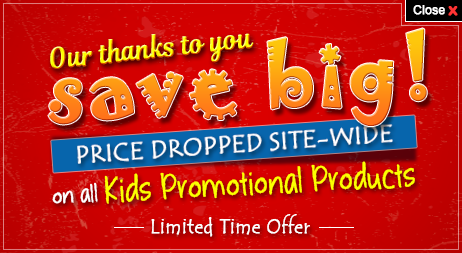 Order these CPSIA promotional items for children fast to gain free online proofs, fastest turnaround time and free artwork design services. 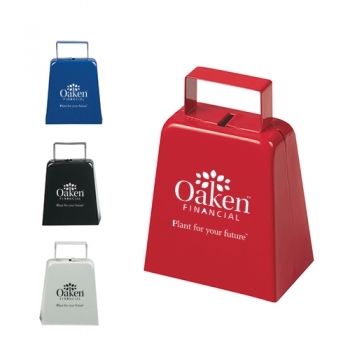 Request a quote to know what you can save on ordering Custom Printed Large Cow Bells.